This paper examines the unique learning environment that exists when ICT (Information and Communications Technology) students undertake cooperative education student mentoring roles within the ICT education industry. Specifically, the utilisation of third year (level 7) ICT degree students in mentoring roles for lower level (3 and 4) ICT students is examined. The study presents the results from an initial implementation of a student mentoring programme and discusses a number of factors that emerged from the experience. In particular, reflective comments from the mentoring students are presented and discussed with regards to the overall experience. Although this paper is focused on mentoring within the ICT education industry, many of the issues discussed will likely be applicable across the tertiary education sector. 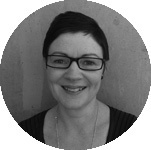 Sarah has been working at UCOL since 1994 and has a Bachelor of Applied Information Systems, a Postgraduate Diploma in Business and Administration (Management), a Master of Management and a Doctor of Science Education. She has a background in Information Technology, Management and Teaching. Her research interests include: soft skills for ICT graduates, gender in ICT, learning environments, and tertiary students perceptions of the use of mobile technologies.